Three bowls to make it more spacious. 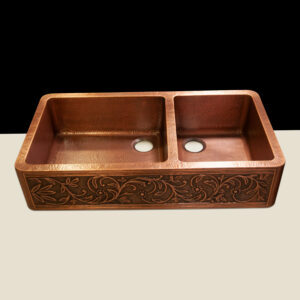 Double wall design to make it even more sturdy. 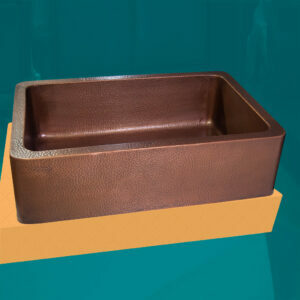 Hammered front apron to give it a distinguishing look. 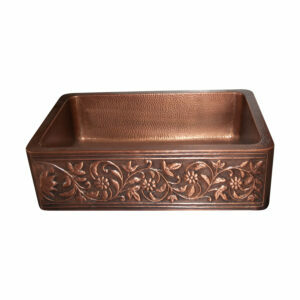 Also available in plain front apron. 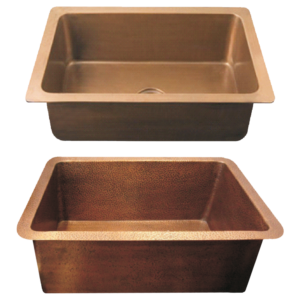 Each sink is handcrafted by our skilled artisans hence no two sinks are alike. 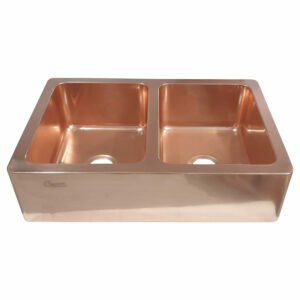 Made of 99.9% pure copper. 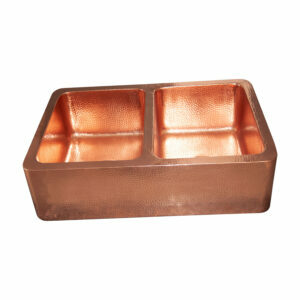 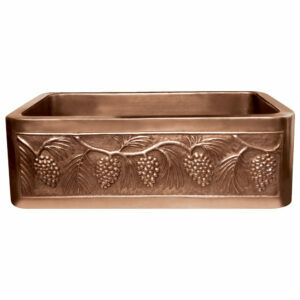 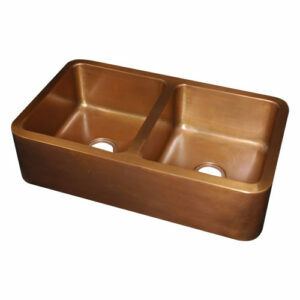 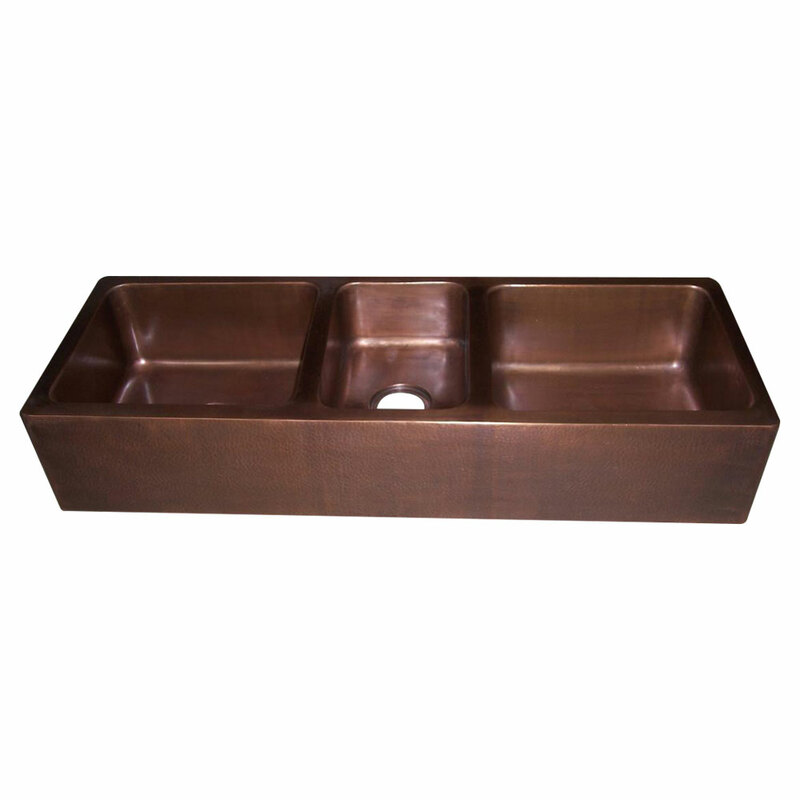 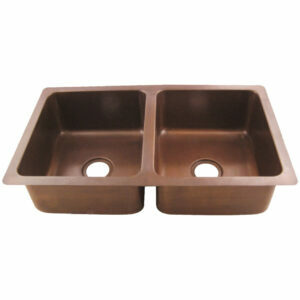 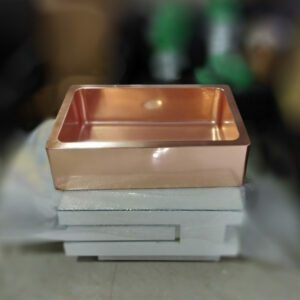 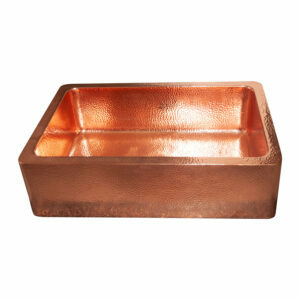 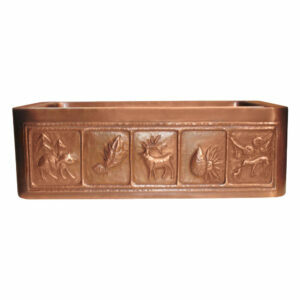 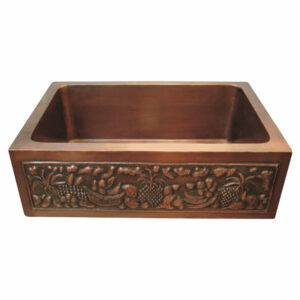 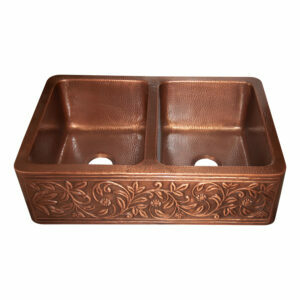 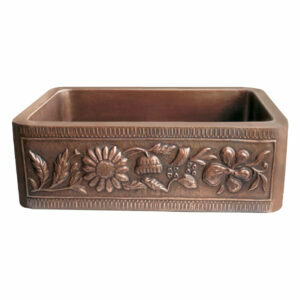 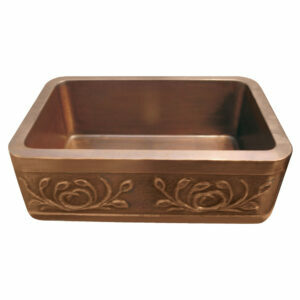 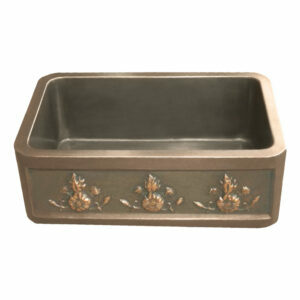 This Triple Bowl Copper Kitchen Sink is a perfect sink for homes that has big kitchens and hence require bigger sink. 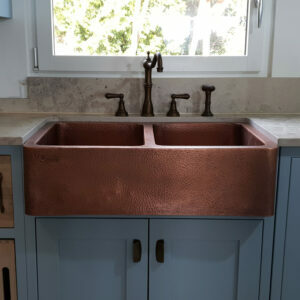 The antimicrobial properties of copper makes it a perfect fit for any home that are concerned about bacterial growth in kitchen sink.